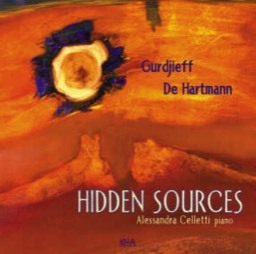 "Hidden Sources contains the most representative and best selection of the Gurdjieff / de Hartmann music I've heard on a single CD. Alessandra Celletti's interpretations are as sensitive and as idiosyncratic as Glen Gould's. Her playing and selection are exceptional." "Hidden Sources offers a sensitive and even tender interpretation of the Gurdjieff/de Hartmann music, which calls for a rare quality of surrender to the music combined with a precision of intention. This music is both simple and extraordinarily subtle; and Alessandra Celletti's touch reflects these same qualities." "Whether chosen through natural or intentional selection, the pieces in this album are woven together in a musical tapestry that Celletti shares wholeheartedly with you the listener. Hidden Sources is a gentle but strong expression of an artist approaching a mystery. We hope Alessandra Celletti continues on her way with this music". "Cells of beauty and not verbal wisdom that speak clearly to our deeper soul. Every note carves a profile, designs a curve, each key reveals a mountain, a cheekbone, a perfume, a spiritual landscape. Sacred dances for sceptical travellers of knowledge. Immense." "Alessandra Celletti's touch gives a specific emotional colour to every note,to every passage, to each of the 18 tracks of the disc, western interpretations of Asian and Indian songs. A bare and essential musical reading enhances in every passage the top level writing of the two composers." "This music reveals the Hidden Sources of sounds lost, and found again. This "recherche du son perdu" of a lost music contains, within the vital melancholy expressed by the sounds and the performer, an extraordinary light and vibration". 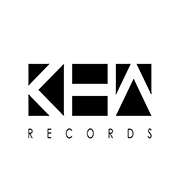 "Hidden Sources is an excellent CD. The all production is superb and Alessandra Celletti plays like piano magician".